We love love love these people!! So thankful they are following their paths and helping so many others heal on the way! ~ W.M. I was blessed to participate in a 4 day intensive acupuncture set of multiple treatments to help heal trauma (emotional and physical) and it saved my life. Years of therapy didn't do what 4 days here did. I am forever grateful. I will leave my full review and details on their website. Jim is amazing and his energy is powerful! ~ J.B. There are no words how much these acupuncture treatments have helped me. James has a very special talent. I cannot say enough about this practice!! Please give their services a try.....you will be glad you did. ~ M.W. My son and I visited last night for their walk-in acupuncture and foot soak event. What a wonderful experience it was! My son doesn't show much emotion and I wasn't sure how he felt about it. He told me afterwords that he really liked it, and booked a consultation for next week. I knew I loved it, and had a fantastic night's sleep last night! ~ B.G. I’ve tried acupuncture before, but Five Shen Wellness is different. The atmosphere is more relaxing than a clinical setting. 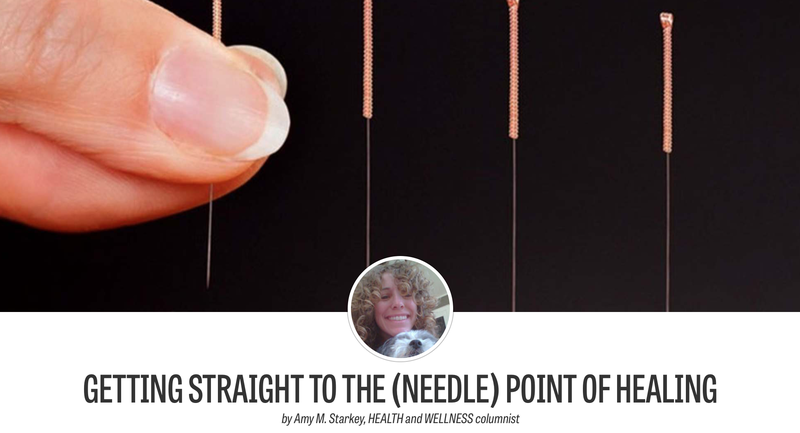 I had no physical ailment that needed treatment when I started acupuncture but I now seem to be more emotionally balanced. I don’t seem to get worked up over little things or have mood swings. Devynne is very caring, gentle, and patient. I look forward to my treatments. ~ J.H. Thanks to James & Devynne for their support of the military community!! Our military spouse hiking group visited Five Shen Wellness at the end of one of our monthly hikes. Military spouses are the hidden heroes behind our warrior heroes. With that comes a ton of stress! Five Shen offered to host our group for Tibetan herbal foot soaks. We were greeted warmly and set up in the foot soak room where we could all experience this treat together. Next came pots of hot tea to start the relaxation process, followed by heated neck wraps, then in rolled the customized foot soaks for each person. You could feel the stress just melt away and roll right on out the door. Total pampering and relaxation! We were so well attended to. It was apparent James & Devynne truly care about their clients! I'd highly recommend the foot soaks as a group activity to start. Now many of us will be coming back to experience other treatments the Five Shen team offers. Thank you, Five Shen! ~ L.W. I stumbled upon Five Shen a couple of months ago on a soul mission to find some "natural" symptom relief to my various medical issues as I was at my wits end with traditional doctors and pharmaceuticals not working. I had no idea what to expect and was totally new to acupuncture but was willing to try it despite my fear of needles. I can't find the words to say how happy I am that I did! 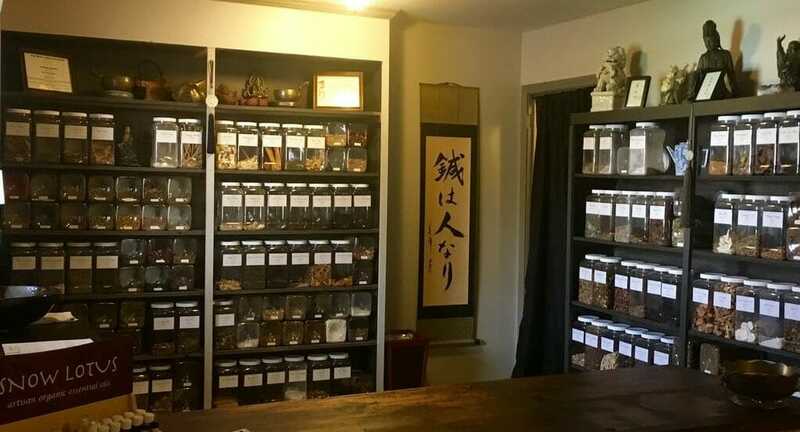 Within a few acupuncture treatments along with herbal medicines specially formulated for my conditions by James I am a completely renewed person. I feel better than I ever have. Migraines, gone. IBS, gone. That's just a few, not to mention spiritually I have come to a new level of self awareness and peace. The benefits of the services at Five Shen are endless and I am so thankful to have found them! If you are having any issues with your mind, body, or spirit Five Shen will get you back to enjoying your life again! ~ A.L. "I have been an avid fan of acupuncture since I discovered its benefits several years ago when I worked in Central Florida. However, since relocating to this area, I have had a couple of bad experiences with local natural health practitioners; and up to now have traveled 2 hours toward the outskirts of the Atlanta market to get effective acupuncture treatments. It appears I dont need to make that Georgia journey anymore-- James Berry/Acupuncturist and Rosemarie Berry/massage are a VERY IMPRESSIVE and knowledgeable team. They also have all sorts of wellness activities---for families, veterans and the community. ALL AT AFFORDABLE PRICES!! I look forward to 'getting my natural wellness on in 2016' at Five Shen Wellness & Acupuncture." ~ R.C. Rosemary has the magic fingers and James the magic acupuncture needles. I am now a client after trying out a groupon. I was not sure how acupuncture would and had hopes it would work for me. I am seeing health results almost immediately. ~ T.G. I've enjoyed a foot soak (twice!) and a massage at Five Shen..They make you feel so welcome, pampered and at ease. And they are so knowledgeable. Fantastic experience. ~ J.C.
My husband and I have been twice and I am really so excited to learn more and continue with our visits!! The free veterans clinic that he provides on Monday evenings is such a blessing and advantage that I hope all veterans and their families will visit! ~ S.M. I just completed my very first acupuncture appointment ever. It was conducted by Five SHEN Wellness. James Berry and Rosemarie Berry were AWESOME.... Very professional and even though I was meeting them for the first time, I was made to feel as if I was part of the family.. James explained the procedure to me before, during, and after. He never once assumed that I already knew what was going on. I left feeling better than ever and continued to feel better after my great night's rest which I hadn't had in a very long time. I drove from Atlanta, Georgia to Greenville, South Carolina for my visit and it was worth every mile. I definitely recommend anyone who may have wondered about acupuncture to visit James and Rosemarie. It was a life changing experience for me.... AWESOME!!!! ~ L.G. I highly recommend coming here! I enjoyed a foot soak which was totally pampering. This place is the perfect spot to relax and treat yourself! Service is great, they make you feel so welcome since you walk in. ~ B.T.